Daring, tough and fiercely talented, Virat Kohli has emerged as one of the pack-prominent faces of the current generation of Indian cricket. With the ability to destroy the balls in a particular field on the basis of a strong bottom and will, Kohli has made his place in Indian cricket. As a King of Chase, many of his fans have named him, Kohli has a deep hammer tack in all formats. 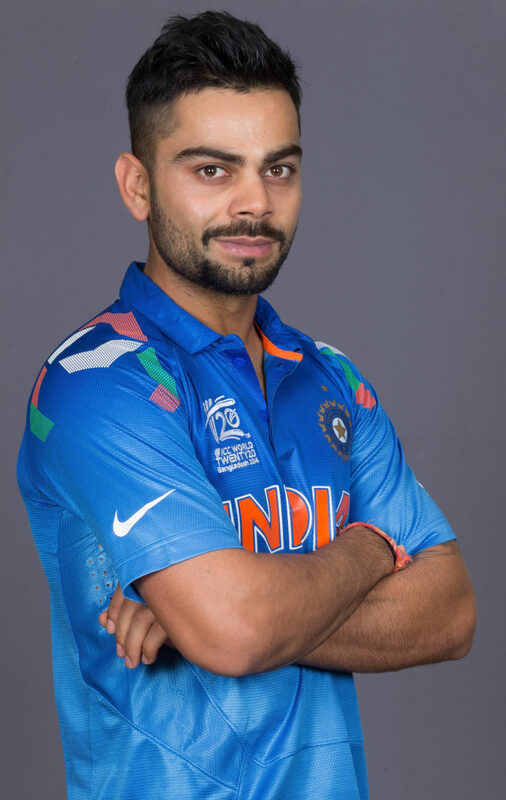 Kohli progressed to fame after he captained India’s victorious World Cup under-19 team in Malaysia in 2008. In 2008, he was immediately introduced into the attractive T20 tournament – Indian T20 League and since then he was part of the Bangalore franchise. He also became the captain of the team in 2012 before retaining in 2014. Due to notable performances in the first edition, his domestic form still gave him a one-day match for India in the same year in Sri Lanka. The year 2016 turned out to be the best phase of Kholi by some distance as he scored runs across formats with the same consistency reaching insane levels. He scored over 2500 international runs at a mind-boggling average of 86.50 with seven centuries and 13 half centuries from 40 innings. He also got a ‘Man of the Tournament’ award in the 2016 World T20 where India made it to the semifinals. In addition to all of this, Kohli also racked up a phenomenal 900 runs in the Indian T20 League with an incredible four centuries. During the 2016-17 season, Kohli also became the first batsman to register a double century in four successive Test series, leaving behind the legendary Sir Donald Bradman and Rahul Dravid, both of whom had managed it for three consecutive series. His talent showed the world that he can dominate in all formats simultaneously without breaking a sweat.